thanks to our growth hackers team. “The OTT and streaming market is increasingly complex and difficult to navigate. 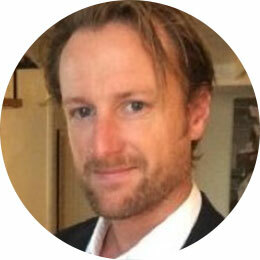 Alchimie provides a unique technical solution for worldwide distribution and monetization of content across all platforms, combined with expert curation and dynamic marketing to generate audiences. Alchimie’s approach realizes the value of content, for the viewer, the platform and the rights-holder. We are partners of powerful distribution platforms all over the world. We partnered with Alchimie right from the launch of their new OTT TV platform. Since then, we have broadened our business relationship, including more services and expanding into new territories. It’s exciting to contribute to the success of a leading OTT player and at the same time further widen the global outreach of our music content. The effective platform edited by Alchimie has led us to continue to extend our partnership. Today, 5 of our channels are now distributed by this digital operator, which revenues approach those of Pay Tv. Their energy is a day to day pleasure to work with. We’ve been very impressed not only with Alchimie’s ability to seamlessly integrate our content into their platform but also to quickly generate viable levels of revenue from them. We would have no hesitation in recommending them as a partner for content owners. HorizonSports has been distributed by Alchimie since March 2017 and we are delighted with this partnership. The editorial management and structuring of our channel has always been very flexible and perfectly followed the content deliveries. Alchimie contributes to our international development … and send us money every month!